Casa Solnascente is a holiday residence situated on the hills of Raposeira. Here your holiday dreams will come true. Western Algarve, one of the last areas in southern Europe to remain free of over-commercialization. From the tranquillity of its sheltered southern bays and harbours to the rugged splendour of the wilder shores pounded by the Atlantic surf on the west coast, this is like no other part of Portugal. The Western Algarve consists of thousands of acres of National Park, which explains the very little development. This results in outstanding scenery, stunning beaches for swimming and surfing and small, unspoilt resorts. Casa Solnascente comprises of a very spacious lounge/dining room with fire place, and satellite TV. A fully fitted kitchen with separate utility room. Three comfortable bedrooms. The large terrace offers a stunning view of the countryside. From here sunrise and sunset is a fascinating experience never to forget. A perfect place to stay for surfing! 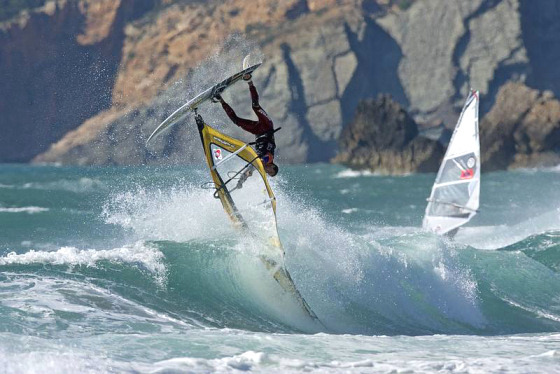 The Algarve is Portugal's most recent surf destination with Sagres being the epicentre. With beaches such as Beliche, Mareta and Tonel facing in different directions it provides consistent quality surf. Head along the Atlantic or Algarve coast to find some quality spots such as Arrifana and Zavial. 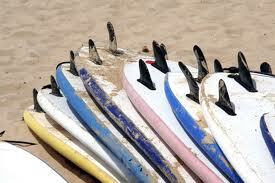 You will find various surfing schools and Sufshops nearby. Crazy up and down racingtrack for skateboarders just behind the house!